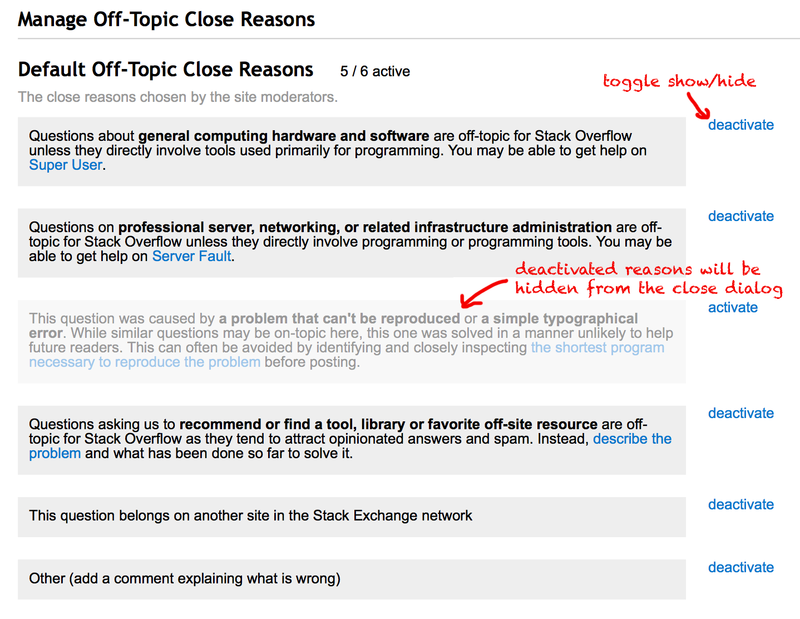 The Close Reason Editor allows you edit the off-topic close reasons which are normally editable only by the site moderators. If, for some reason, you do not agree with the default close reasons, or you rarely need some of them, you can hide* them from the close dialog by deactivating them. *: They will still show up in the close dialog if someone else has already chosen that reason for that particular question. 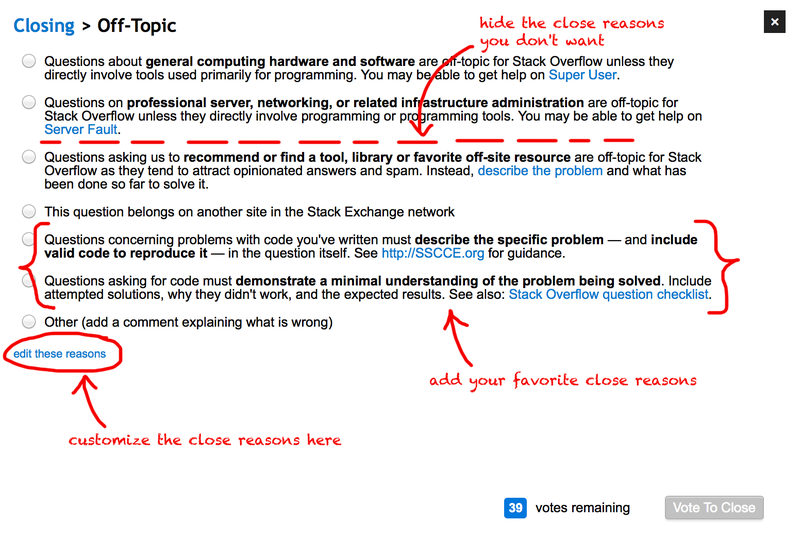 You no longer have to type your most commonly used close reasons over and over again. Simply save them once, and you can use them just the way you want. You need to have the "cast close and reopen votes" privilege (3000 reputation on graduated sites) in order to use the custom close reasons. You have to use a browser that supports localStorage. The adding of Tags to a new question initiates a scripting error and does not let me add tags. If I turn off the close-reason-editor I am back to normal. When I try to ask new question, and click on add tags, I get the Firefox to freeze with spinning beach ball followed by Error message. This script caused me both the bug reported by Buscar and the one reported here (I was asked to confirm leaving the page each time I posted a question or answer). Removing the script solved both bugs and, since I don't really use it, I can live with that. I won't be following up on this but I thought it was worth reporting. Not the answer you're looking for? Browse other questions tagged script closing .